Like Charlie? Too bad for you - he's gone on vacation for two weeks. I'm not sure where, probably somewhere in Asia, whatever. The important thing is that, with a vacancy well-known to us in advance, we were able to secure two guests for you guys. That's right, episode 13 will feature GuitarAtomik and BigPopaGamer in a tag-team of eccentric dance music and big bazongas. Yashoki and Necros are also on hand, but you don't have to listen to them. 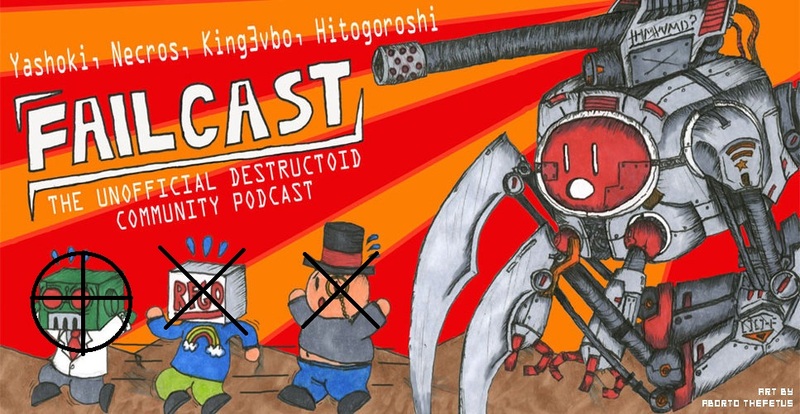 Then, we have a special treat for you PS3 owners: a bonus roundtable featuring King3vbo, CJP, Madninja, and Pedro on the spoileriffic topic of MGS4 and CJP's poor bedroom performance. Intended to be a normal segment, we decided to insert this into a preview episode based on its unusual length. Needless to say, don't listen if you don't want to hear that Raiden is Fontaine. If you want to contribute to the show or be a guest, email us at [email protected], and we promise to be gentle. Clicking this download link may or may not constitute a legally binding contract. We're not really sure. You should consider consulting a lawyer.